1.Advance in the research on the quarantine pest Bactrocera dorsalis. 2.Application of electronic feeding monitoring system in study of plant resistance. 4.Studies and applications of botanical insect antifeedants. 5.Progress of studies on molecular systematics of Orthoptera. 6.Progress of the reseach on bodycolor diversity in insects. 7.Water is the key factor in management of the Oriental migratory locust. 8.Effect of different masures of ecological management on the population of brown planthoppers in organic rice fields. 9.The population dynamics of Aphis gossypii in greenhouse. 10.The cold hardiness of pupae of cotton bollworm after feeding transgenic Bt cotton. 11.The developmental threshold temperature and effective accumulated temperature of Euproctis pseudoconspersa larvae. 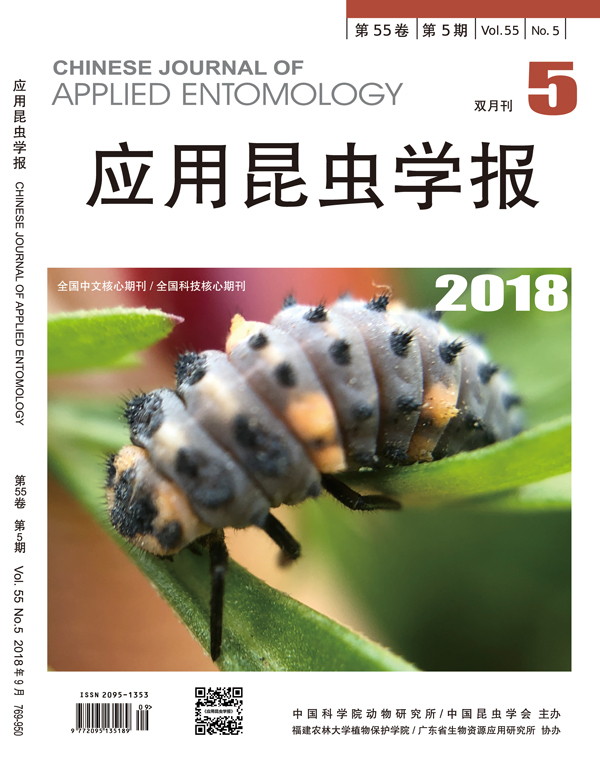 12.The seasonal dynamics of ovarian development of six dominant species of locusts in Siping area of Jilin. 13.The cycle of forming primary reproductives in Cryptotermes domesticus. 14.Preference of different vegetable insect pests to color. 15.Behavioral responses of Macrosiphum avenae and Rhopalosiphum padi to wheat plant volatiles induced by aphids feeding. 16.Suppressive effect of the alcohol extracts of Lantana camara on the populations of Liriomyza sativae. 17.Influence of some chemicals on the action of Bacillus thuringiensis Cry1Ac toxin with cultured insect cells. 18.The spatial distribution pattern of Bemisia tabaci adults. 19.Proteins isolated from the larva of the housefly and their activities on scavenging the hydroxyl radical. 20.The relationship between mating and fertility of Epicauta mannerhimi. 21.Morphology and biology of Calosoma maximociczi. 22.The activities of major digestive enzymes in the midgut of Eupolyphaga sinensis. 23.Fauna of grasshoppers in Hanzhong area of Shaanxi. 24.Diversity of butterfly species in different habitats in South suburb of Jiamusi. 25.Cabbage white butterfly and its host plant nasturtium. 26.Storage pests in the exportable downfilled clothing products. 27.The insecticide 30% Qiang_li-sha-jie for controlling Didesmococcus koreanus in plum orchards. 28.A new method of rearing the laboratory population of striped flea beetle,Phyllotreta striolata. 29.An improved method of rearing Spodoptera exigua larvae. 30.The development and research of the farm crop pest database. 31.A brief introduction to insect mouthparts and their evolutionary history. 32.Pyemotes mites and human diseases. 34.Esterase isozyme in the classification of Coleoptera insects.